We don't really invest too much into Valentine's Day around here, but it is a great excuse to make an amazing meal and bake something yummy. For dinner I am making my elaborate home made sushi (my favourite! ), and I have spent the past 24 hours obsessing over blogs and YouTube videos trying to decide what dessert will be. Should I try something new or pick an old favourite? Maybe something old and something new? All the Christmas goodies should be worked off by now, time for Valentine's treats! Last night during my obsessive dessert research, I turned to my iPhoto for inspiration and discovered a whole series of baking experiments I did before I had this blog. Way back in the summer of 2009 I was obsessed with Bakerella (and why not, she is amazing!) 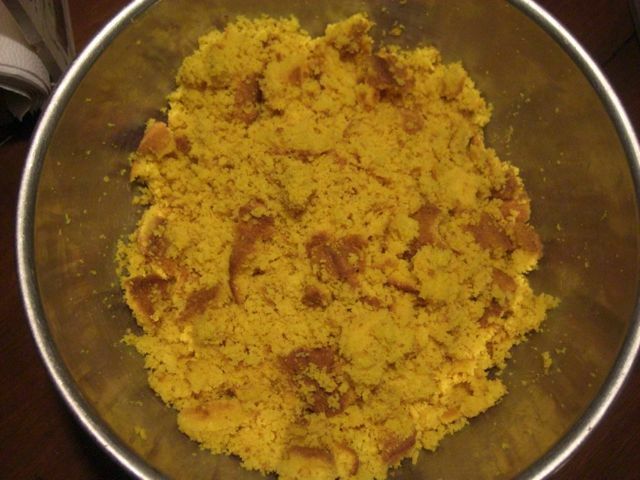 and I tried a number of her recipes and took photos of the results. In a baking salute to Valentine's Day, I am going to post some photos from the 2009 experiments, and hopefully it will help me decide what to make for dessert on Thursday. First stop on this trip down memory lane: Cake Pops. 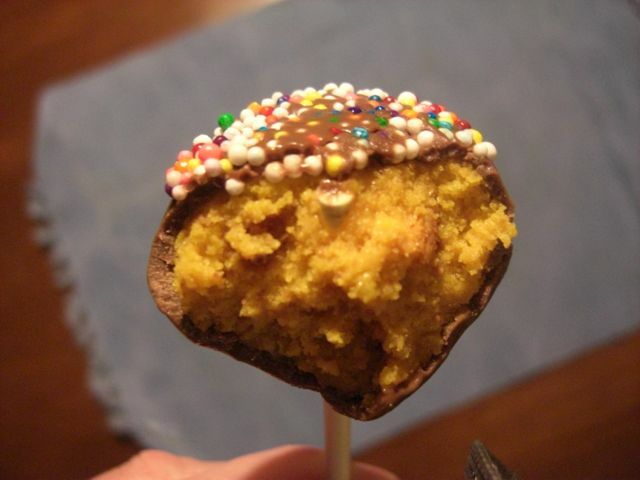 When I first heard of Bakerella's awesomeness it was because of these spectacular little things called cake pops (find the recipe here). I have made them three or four times, using various cake flavours, but always cover them in chocolate and sprinkles. Around the time I started making cake pops I also started experimenting with food colouring gels. They are so potent and work so wonderfully - you only need a small amount to add a lot of colour. I decided to try some cake pops with red and yellow cake. 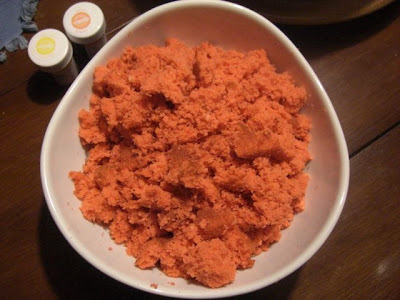 Crumbled red cake - just add red icing! 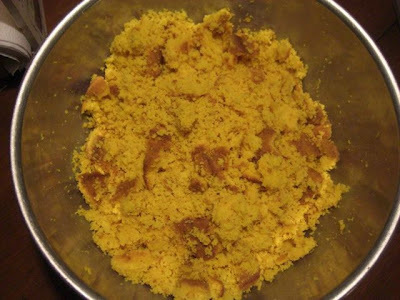 Crumbled yellow cake - just add yellow icing! 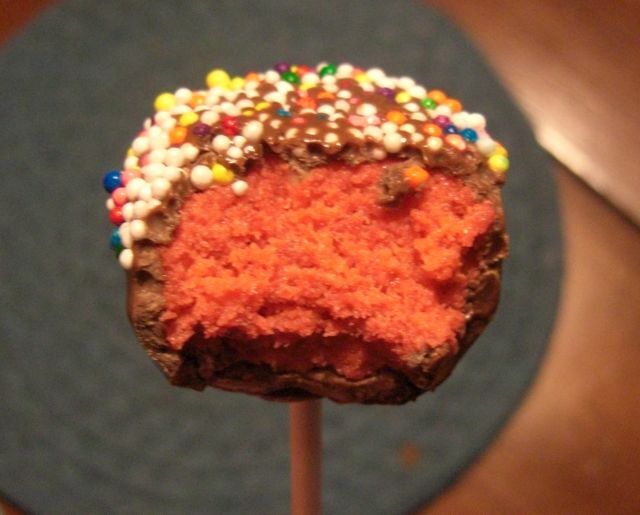 Chocolate and sprinkle with red inside Cake Pop! 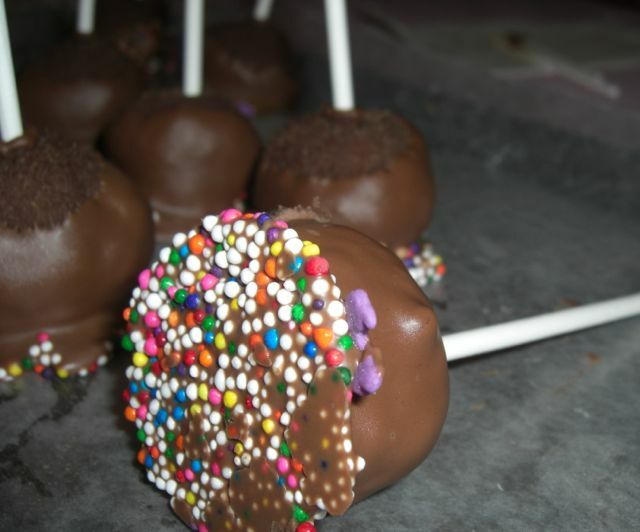 Chocolate and sprinkle with yellow inside Cake Pop! 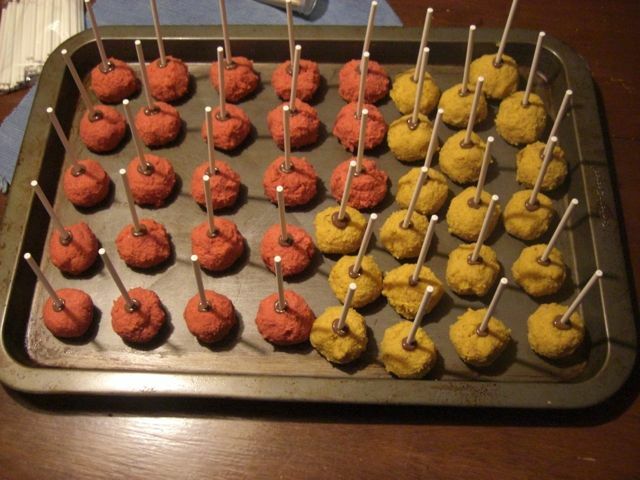 Have you made Cake Pops before? Do you like them? Have you made any fancy ones? I have been looking at a lot of different styles that might be perfect as a Valentine's Day dessert. 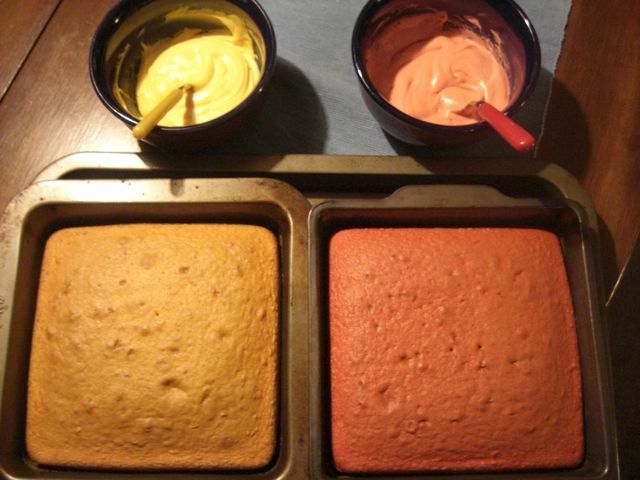 If I had the ingredients on hand I would probably be making some right now!